Global Recycling Day is a special day each year for recognizing and celebrating the importance of recycling in preserving the planet and our resources. Today we're excited to share a few of our favorite ideas and products to help you go green. Recycling is one of the easiest ways to support our planet because it’s simply giving a new life to items we’ve loved without creating waste. While recycling is an important part of conservation, it's not the ultimate solution we once thought it was. Unlike the vulnerable species who are in danger of extinction, plastics live forever. Less than 10% of plastic waste is recycled, and scientists estimate that there will be more plastic than fish in the ocean by 2050. Today, it is estimated that at least 50% of the global population has plastic materials in their bodies as micro-plastics find their way into beer, salt, and seafood. Although it’s only one percent of all waste, StyrofoamTM (a.k.a. expanded polystyrene) is also problematic as it makes up almost half the litter found in streams and never fully breaks down as it absorbs environmental toxins. Polystyrene is littered more than any other product—polluting our waterways, seafood, and water supply with almost 30 million pounds of waste in 2014. These statistics are hard to read and even tougher to see floating through our waterways. But there are some glimmers of hope. 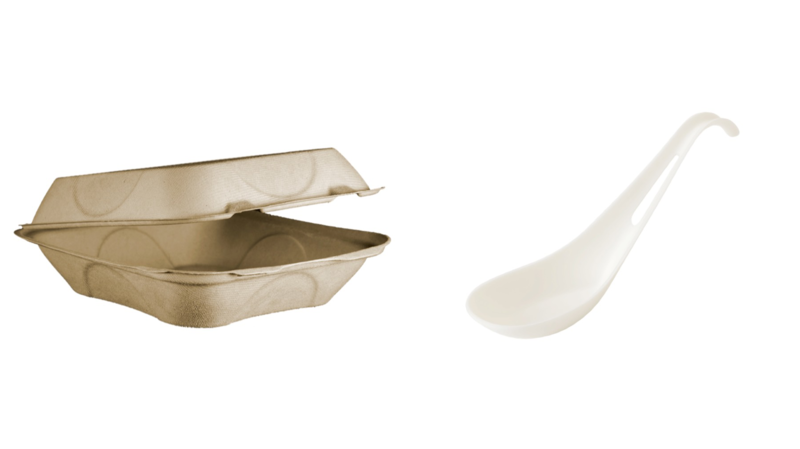 Three cheers for the recent news that NYC has a new styrofoam ban. 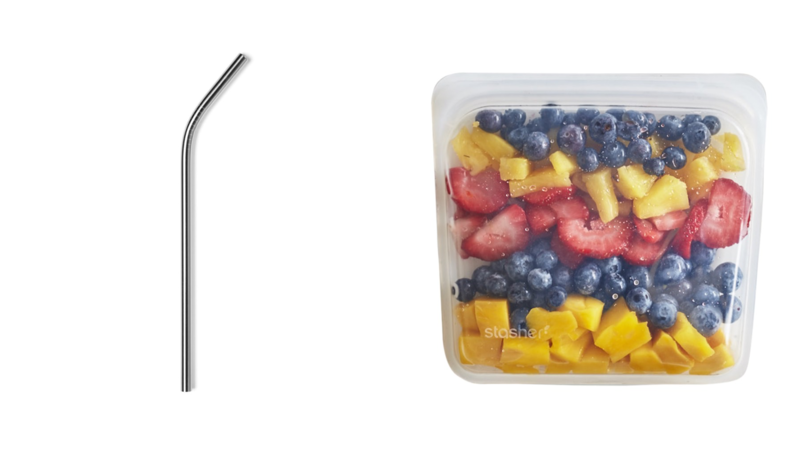 And we're thrilled to see the growing trend of plastic straw bans across the world. While we are excited about any efforts to improve the environment, we still have a long way to go, and we all have a part to play. Fortunately, there are things we can do and many small changes everyone can make to move the needle on this important issue. In honor of Global Recycling Day, we've made a list of items you might use every day that can be swapped out for reusable, environmentally friendly alternatives and guarantee you won't be harming the environment. - A refillable water Bottle will save you money, too! ...THERE ARE THINGS WE CAN DO [...] TO MOVE THE NEEDLE ON THIS IMPORTANT ISSUE. - Sulapac (recently invested in by Chanel, this company has created the most cutting-edge sustainable straw in the world; businesses can inquire for an offer here). If you’re ready for some ‘next level’ actions, take a look at your wardrobe. We love the Good on You app, which rates clothing brands for their environmental impact. See how your favorite brands rate and consider some sustainable alternatives where possible. If we all commit to making small, everyday changes today, then we can create the planet we’d like to see in the future. Choose a few small changes at a time, and eventually bigger changes become easier. We’d love to follow along in your journey and learn from you, too! Please share your favorite eco-friendly products with us on Instagram (@renderloyalty,) and let us know what questions you have by e-mailing us at inquiries@renderloyalty.com.